Gardening For Ants? Yes, You Can! This is an idea that is probably well ahead of its time, but after writing about how you can plant a garden to encourage bees last week, I decided to figure out if you can plant a garden to encourage ants. I think the answer is, “Yes!” and if you are interested in ants, you’ve probably already been doing some of these things. 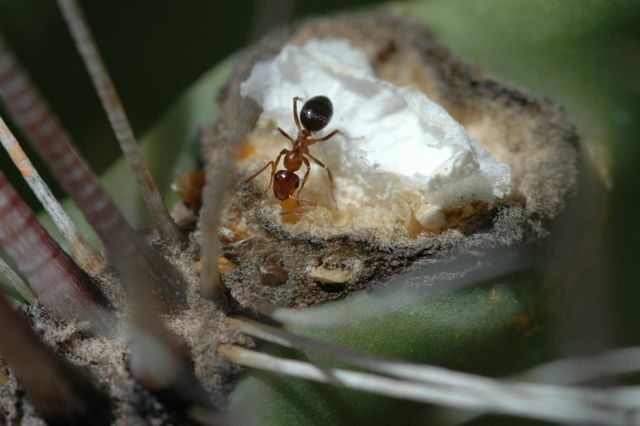 What do you need to provide to encourage ants in the garden? The same things you would provide for butterflies or bees: food, water and shelter. Bees collect pollen and nectar from flowers, which is why they are great pollinators. 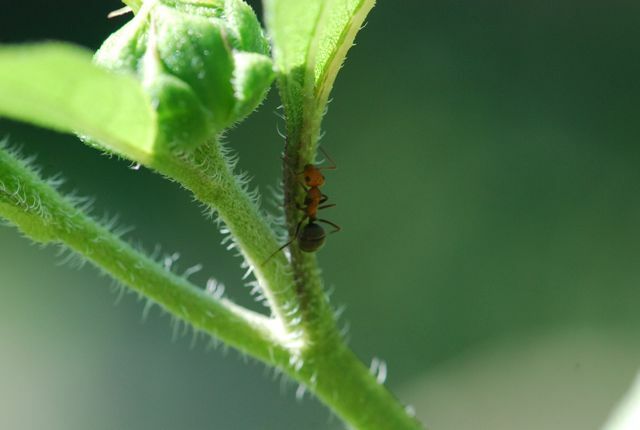 Ants also have relationships with plants, but it often much more subtle. Many plants have nectaries, which are glands that produce sweet fluid fluids, outside of those that reside in the flowers. 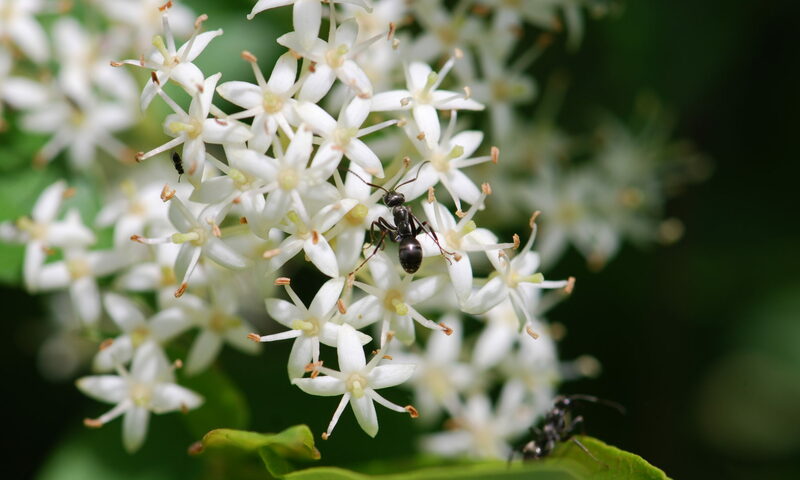 These nectaries, called extrafloral nectaries or EFN’s, are often used almost exclusively by ants. They supply both water and nutrients. You are probably already familiar with one well-known example of extrafloral nectaries in the popular landscape plant, the peony. 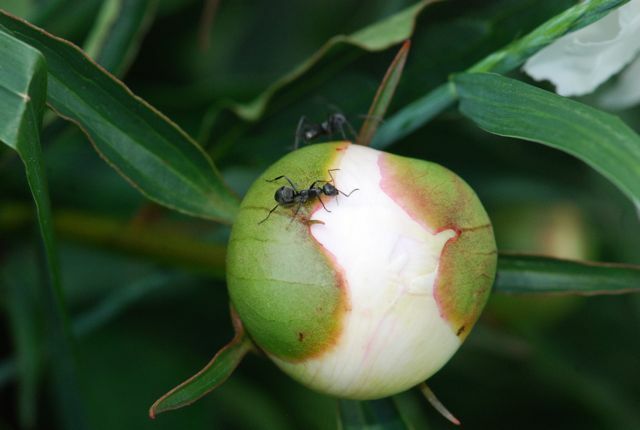 Ever see ants crawling all over peony buds right before the blossom opens? 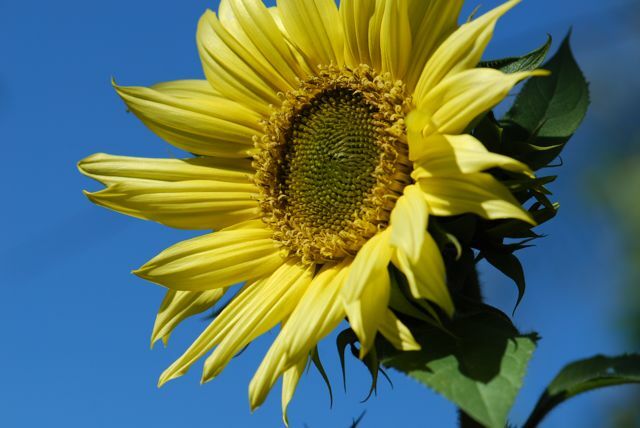 Sunflowers are another example. They have big showy flowers that attract bees. Over 70 different families, from buttercups to violets have extrafloral nectaries. The nectaries may be dripping nectar during definite seasons of the plants’ life cycle, for example for a week or so while the plant is blossoming, or may be available year round. 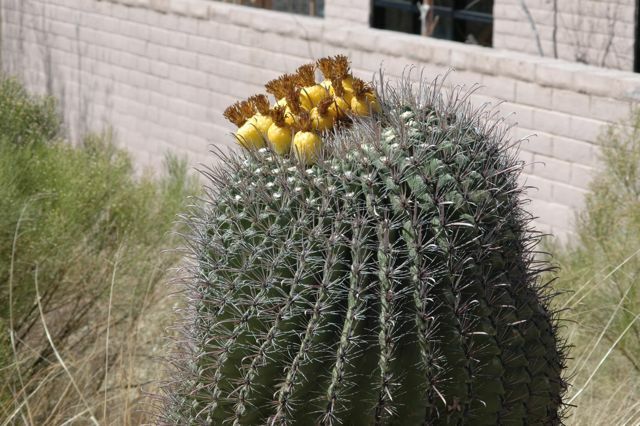 Here in the Southwest, many cacti have extrafloral nectaries. Now you’ll think I’ve gone over the deep end, but if you are serious about gardening for ants you might want to provide some plants that are hosts to aphids or scale insects. 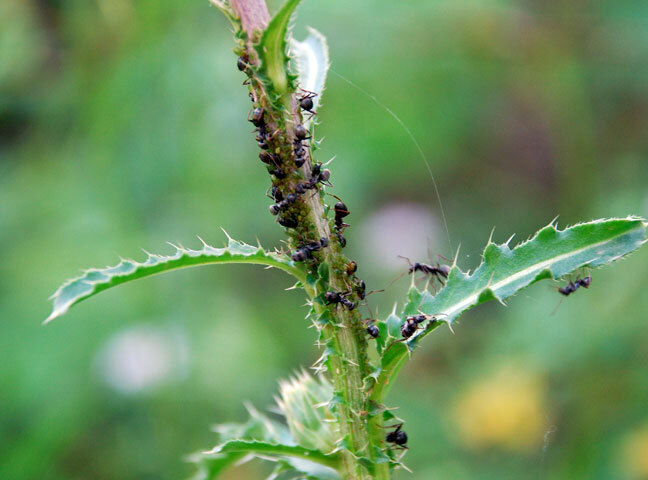 Leaving a few weeds that are prone to aphids doesn’t necessarily mean your garden will be infested, because some aphids are specific to only one or a few plants. An example is the thistle aphid, Brachycaudus cardui. 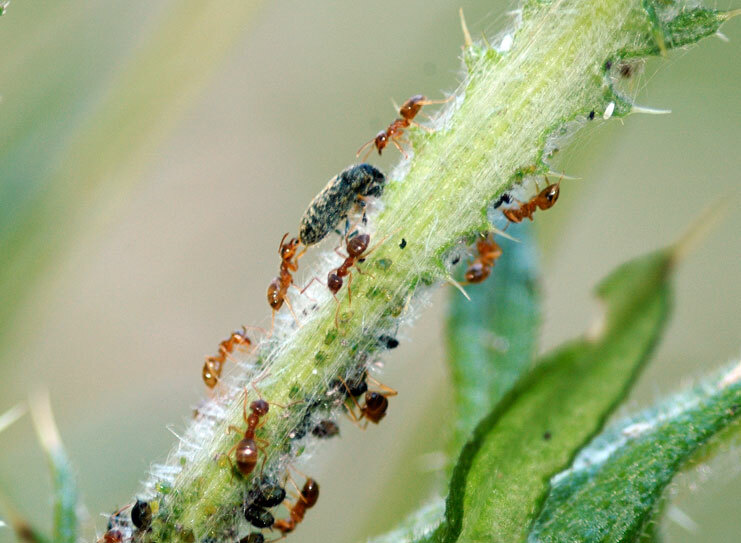 Ants definitely benefit from the honeydew the aphids secrete, as do a number of other insects and even birds. You may also benefit, because it is easy to spend hours studying the complex relationships involved. Well, maybe not so artistically arranged. 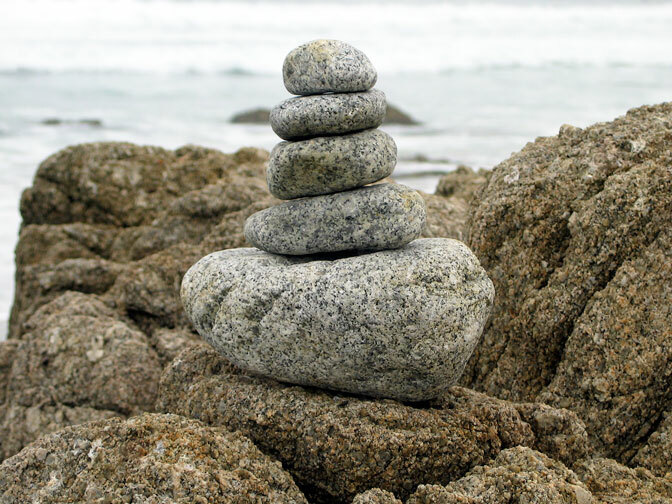 A few flat rocks strewn about your garden are likely to provide a valuable resource for ants. In the cooler parts of the year, ants use rocks that are warmed by the sun as incubators for the larvae. 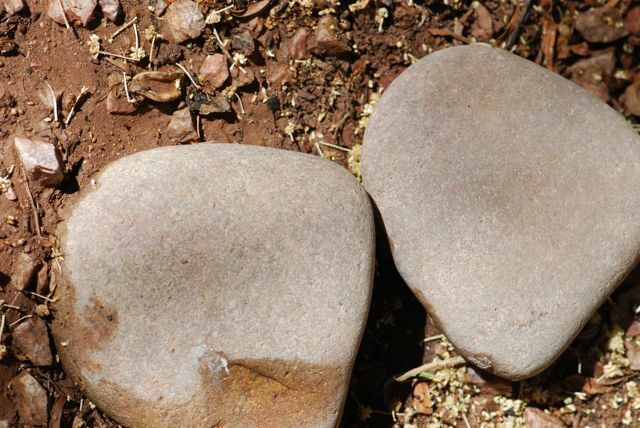 In fact, these particular rocks have a colony of rover ants under them doing just that this week. One of the best ways to develop an ant-friendly garden is to find out what species are found in your area and what their requirements are. Find out which species are keystone species important to your local ecology and which are introduced pests that should be discouraged. You are likely to be a pioneer, so keep records and share what you find out.